We went to the Infoshop (the 'radical social centre and bookshop' at 56 A Crampton Street). 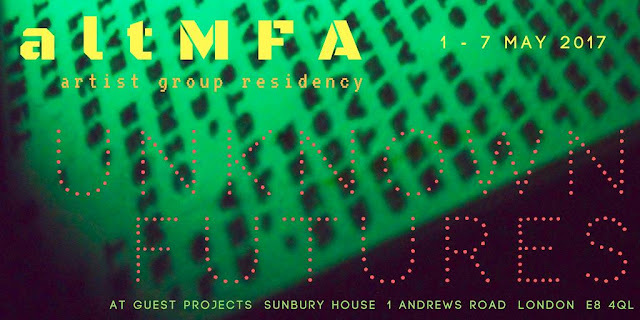 We all started looking through the archive, reading, chatting. We drank coffee and ate some russian sweets brought back by Steph. Once it closed, we decided to go to the Heygate Estate. We were all by bike so we cycled around for a bit, then we found a garden and sat down. 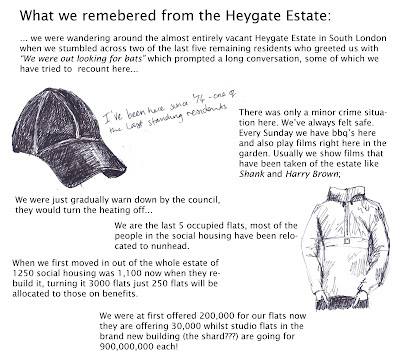 Robbie read some texts and information about the history of the Heygate. Then 2 men came asking if we had seen bats flying around and a really interesting conversation started.